The National Institutes of Health website ClinicalTrials.gov provides easy and free access to information on clinical studies for a wide range of diseases and conditions. Open Trials is a free, open, online database of information about the world’s clinical research trials. Data from multiple sources are linked together in a user-friendly format. Currently in a beta-test version. Open Trials is funded by The Laura and John Arnold Foundation through the Center for Open Science. In addition to studies listed below, you can volunteer to join a patient registry or make arrangements to donate tissue at surgery or upon death through our FSHD tissue donation registry. To find a clinical trial with the keyword “facioscapulohumeral,” please click here (clinicaltrials.gov) or here (opentrials.com). After identifying some options, the next step is to contact the study recruitment staff and ask questions about specific trials. Clinical Trial Readiness to Solve Barriers to Drug Development in FSHD. PIs Jeffrey Statland, MD, and Rabi Tawil, MD. This study is being run at the FSHD Clinical Trial Research Network sites. To find a site near you that is currently recruiting volunteers, visit clinicaltrials.gov. Brief Summary: The primary cause of facioscapulohumeral muscular dystrophy (FSHD), a common adult-onset dystrophy, was recently discovered identifying targets for therapy. As multiple drug companies pursue treatments for FSHD, there is an urgent need to define the clinical trial strategies which will hasten drug development, including creating disease-relevant outcome measures and optimizing inclusion criteria. This proposal will develop two new outcome measures and optimize eligibility criteria by testing 160 patients in 7 sites over a period of 18 months. For more information, visit clinicaltrials.gov. Magnetic Resonance Imaging and Spectroscopy Biomarkers for Facioscapulohumeral Muscular Dystrophy. Doris Leung, MD PhD. Kennedy Krieger Institute, Baltimore, MD. This research study is being done to study changes in muscle imaging over time in people with facioscapulohumeral muscular dystrophy (FSHD). Whole-body magnetic resonance imaging (MRI) and magnetic resonance spectroscopy (MRS) will be used to evaluate skeletal muscle in study participants. This research is being done to assess how changes in muscle imaging correspond to muscle strength and function. Qualified participants will be asked to complete 5 study visits over 21 months. Each visit will include muscle strength and function testing in addition to the MRI/MRS scan. The investigators plan to use MRI and MRS in developing outcome measures that can be used in future clinical trials for FSHD. FSHD Biomarker study. Wellstone Center for FSHD Research, Univ. of Massachusetts Medical School. Robert Brown, Jr., MD, and Larry Hayward, MD PhD. Physicians and researchers at the University of Massachusetts Medical School (UMMS) seek individuals with facioscapulohumeral muscular dystrophy (FSHD) to participate in an FSHD Biomarker Study. This will be conducted by Dr. Robert H. Brown, Jr. and Lawrence J. Hayward, M.D., Ph.D. This study focuses on explaining the variability of FSHD, especially within the same families, through examination of both genetics and other biomarkers. Purpose: The purpose of this study is to identify and understand genes that may explain why people with FSHD have different amounts of weakness in different muscles (different phenotypes). We also aim to identify biological markers that will enable us to follow and predict disease progression or indicate possible responses to treatment in upcoming FSHD clinical trials. Participation: Blood, saliva, muscle and/or skin samples from individuals with FSHD, some family members, and population controls are being accepted for this research study. Participants will be asked to complete a brief medical/family history questionnaire. Also, the clinicians will ask for permission to review the medical records of those with FSHD to understand the onset and progression of their disease. The University of Massachusetts Medical School will cover costs of the sample collection for participation, except for travel and housing. We are happy to help to make arrangements for the blood and saliva samples to be collected locally. Benefits: Although there are no direct benefits for those involved in this research, we believe that understanding FSHD will lead to more effective screening, diagnosis, treatments, and ultimately a cure for this disease. We greatly look forward to speaking with you to answer any questions you may have and to describe this study in more detail. Research study for FSHD (Facioscapulohumeral Muscular Dystrophy) conducted by Dr. Michael Kyba and Dr. Peter Karachunski, University of Minnesota. Your participation is essential to advancing research on FSHD Participants are sought for a University of Minnesota study on muscle stem cells in FSHD. What are we trying to find out? What causes FSHD is not well understood. Researchers know that DUX4 dysfunction causes symptoms of FSHD, however they do not know how or why only certain muscles are affected. Researchers have developed a way to study this by looking at muscle in affected and unaffected individuals. We are hopeful that by learning more about what causes FSHD we will be able to develop effective treatments for FSHD. Will I benefit directly? There is no direct clinical benefit to study participants. This study is aimed at understanding why and how muscle is lost in FSHD. This knowledge is essential to developing a therapy. How can I participate? This study involves a collection of one or all of the above listed tissue samples from you and a control. For every FSHD participant, we need a corresponding control (unaffected) participant. You can help – if you have a sibling, spouse, loved one, friend, or colleague who would be willing to participate and serve as your control, please do let us know. Thank you for your support! Isolating and studying cells from controls and individuals with FSHD is critical for advancing our understanding and future treatment of this disease. Research study to understand if the resting metabolic rate and cardiovascular response to exercise are affected by the genetic mutation that causes for FSHD. By Manda L Keller-Ross, PhD, DPT, PT, University of Minnesota. The Cardiovascular Research & Rehabilitation Laboratory within the Program of Physical Therapy and Rehabilitation Sciences at the University of Minnesota is conducting a research study to understand if the resting metabolic rate and cardiovascular response to exercise are affected by the genetic mutation that causes for facioscapulohumeral muscular dystrophy. We are seeking volunteers who have been diagnosed with facioscapulohumeral muscular dystrophy to participate in our study. Volunteers must be over the age of 18 and not be pregnant or nursing. This study requires a one-time visit to the lab which will last one and a half hours. If you are interested in hearing more about this study, please contact the study coordinator. Contact information is included in this letter as well as on the attached flier. If you are interested in learning more about our laboratory and our research please visit our website. We appreciate your consideration and look forward to talking with you further. Volunteers who are 18 to 55 years of age with FSHD needed for a study to evaluate functional mobility. Principal investigator, Jay Han, MD, UC Irvine. ENROLLMENT COMPLETED. A Phase 2 Randomized, Double-Blind, Placebo-Controlled Study of ACE-083 in Patients With Facioscapulohumeral Muscular Dystrophy. Acceleron Pharma. Multiple sites in U.S.
Cambridge, Massachusetts-based Acceleron Pharma, Inc., is conducting a study of adults with FSH muscular dystrophy for a Phase 2 clinical trial of ACE-083. ACE‐083 is an investigational drug that inhibits selected proteins in the transforming growth factor‐beta (TGF‐β) superfamily involved in the regulation of muscle size and strength. ACE‐083 has been designed to increase muscle size and strength specifically in the muscles into which the drug is administered. Acceleron is developing ACE‐083 for diseases in which improved muscle strength in a specific set of muscles may provide a clinical benefit to patients, such as FSHD. As an “investigational” agent, ACE‐083 is not approved by any regulatory agency for use in any country. For full details of the clinical trial, including updates on new clinical trial locations, please visit ClinicalTrials.gov: Study of ACE-083 in Patients With Facioscapulohumeral Muscular Dystrophy (FSHD). If interested, please contact June Kinoshita by email. The Johns Hopkins Hospital and the Kennedy Krieger Institute are looking for near relatives of FSHD patients ages 35 and older who do not currently show symptoms. Volunteers will be asked to give a blood draw, which can be performed at any local lab. The blood draw, the genetic test, and shipping will be covered by the study. Interested individuals should contact Pegah Dehghan: dehghan@kennedykrieger.org. Study Protocol Number: NA-00019985. Download study flyer. Facioscapulohumeral Muscular Dystrophy (FSHD) Imaging Study at Kennedy Krieger Institute, Baltimore, MD. The Kennedy Krieger Institute is recruiting volunteers with FSHD for a clinical research study. Volunteers will be asked to undergo muscle strength testing and non-invasive magnetic resonance imaging (MRI) and spectroscopy (MRS) of the muscles. The strength testing and MRI/MRS scans will be repeated every 3-6 months for up to 2 years. We are particularly interested in recruiting individuals over the age of 12 years who started having symptoms of FSHD within the past 3 years. Although there are no direct benefits to volunteers who participate in this study, the information collected from the study will be used to develop disease biomarkers for FSHD. Interested individuals should contact Doris Leung, MD at 443-923-9521 or e-mail: leungd@kennedykrieger.org. Kennedy Krieger Institute, Johns Hopkins Medical Institutions Study Protocol Number: NA_00065256. Download study flyer. The University of Washington is seeking individuals to participate in a research study aimed at identifying biomarkers of Facioscapulohumeral Dystrophy (FSHD). This study will assess and compare muscle and blood biomarkers in individuals both with and without FSHD. The study is enrolling participants under the direction of Dr. Leo Wang, MD, Neurology Assistant Professor. Blood and muscle tissue samples will be used to better understand FSHD and identify biomarkers of the disease. We are hopeful this research will provide information for development of therapies in the future. All participants must be 18 to 75 years of age and NOT taking any medication for anticoagulation (blood thinners). The study requires one visit lasting about 2.5 hours to the University of Washington Medical Center for the collection of blood and muscle biopsy samples. Participants will be given a stipend of $200. If you are interested and/or would like additional information, please call Susan, the study coordinator at 206-685-2028 or email at rileys@uw.edu. This study is sponsored by Friends of FSH Research. Participants are sought for a University of Minnesota study on muscle stem cells in FSHD. “We are studying the muscle stem cell in FSHD, and in particular are studying what the DUX4 protein is doing in these stem cells. Although the genetics of FSHD clearly implicate the DUX4 protein in the disease, we do not understand how DUX4 leads to muscle loss. This study addresses this question. For more information, download the study recruitment flyer. Doris G. Leung, MD, and Kathryn Wagner, MD, PhD Center for Genetic Muscle Disorders, Kennedy Krieger Institute, Baltimore, Maryland Download Kennedy Krieger Study recruitment flyer. The study is especially seeking to increase the number of participants from ethnic minority groups. 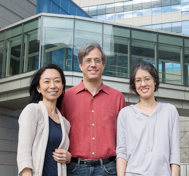 The Center for Genetic Muscle Disorders at the Kennedy Krieger Institute is a member of the US National Institutes of Health (NIH) Wellstone Muscular Dystrophy Cooperative Research Center, “Biomarkers for Therapy of FSHD.” This group includes basic science, clinical, and translational researchers at multiple academic institutions coordinated through the University of Massachusetts Medical School. The Center is actively involved in several research studies focused on discovering the mechanisms of disease and developing improved methods of studying muscle in FSHD. One of their most successful efforts has been the muscle biopsy program, which was designed to systematically collect and characterize muscle tissue samples that could be shared among multiple FSHD researchers. So far, the muscle biopsy program has succeeded in collecting muscle tissue from more than 80 individuals. These muscle samples are not only being used by researchers in the Wellstone, they are also being transformed into cell lines that can be stored and shared with outside research groups and used in future studies of FSHD. The Wellstone muscle biopsy program is now in the process of expanding to include a second site, the University of Massachusetts Medical School. The muscle biopsy program has also expanded within the Kennedy Krieger Institute to include a non-invasive imaging biomarker project. One of the unique features of the Wellstone study is the co-enrollment of unaffected family members along with individuals who have FSHD. This has proven to be a valuable asset to the Wellstone’s research efforts in that it allows researchers to more accurately judge whether genetic variations seen in a person’s muscle tissue are related to FSHD or if they are normal variations that belong to that person’s family. An unexpected outcome of the FSHD biopsy study was the discovery of several individuals who participated as the unaffected control family member, but were found to have the gene mutation that causes FSHD. Many of these individuals, “non-manifesting carriers,” did not have weakness although they did have the same mutation as their affected family members. A new research project is now under way to determine what factors cause some people with the mutation to have severe disease and others to have normal strength. It is possible that there are major genetic modifiers (including the SMCHD1 gene, which was recently found to be associated with FSHD2, also called FSHD1B, a less common type of FSHD) which do not cause disease by themselves, but have a significant effect on the symptoms of the disease. These genetic modifiers not only would provide new information on the pathologic processes that govern FSHD, but they could also provide new targets for therapies. In order to identify and study these non-manifesting carriers of FSHD, researchers in the Wellstone are working on recruiting larger families of individuals with FSHD. They are particularly interested in recruiting individuals who have a first-degree relative (parent, child, or sibling) with FSHD, but do not have any symptoms of muscle disease themselves. These individuals will be asked to undergo genetic testing for the mutation that causes FSHD in addition to neurological evaluation to confirm the absence of muscle weakness or other signs of FSHD. Those who are found to be non-manifesting carriers of FSHD may be asked to undergo further testing, such as muscle MRI, to assess for subtle signs of disease. This exploration of the milder end of the FSHD spectrum represents a new avenue of research in FSHD, and the investigators of the Wellstone are very hopeful that it will forge new collaborations within the FSHD research community and build on the tremendous progress that has been made in the field of FSHD research in recent years. Individuals or families who would like to receive more information about this study should contact Genila Bibat, the study coordinator for the Center for Genetic Muscle Disorders, at (443) 923-2697 or bibat@kennedykrieger.org. Established with funding from the U.S. National Institutes of Health (NIH), the registry is a database of U.S. patients diagnosed with DM or FSHD who are interested in participating in research about these diseases. Their unaffected family members are also invited to join. The National Registry assists researchers looking for volunteers to participate in their studies by searching the registry database for qualified members. The registry staff sends those members a letter announcing the project. Applications are accepted from members and researchers across the United States. To enroll, people are required to complete a comprehensive questionnaire. Brief Summary: The investigators propose to conduct a comparative pilot cognitive and psychiatric profiles of 10 patients Facio-Scapulo-Humeral Dystrophy (= FHSD) type 1 and 10 patients with type 2 FSHD study. For this, the investigators relied on observational components: FSHD2 patients appear more often present with psychiatric comorbidities and seem to have lower cognitive performance compared to FSHD1 patients. This was confirmed by a preliminary study on a small sample population of patients. It seems to exist mainly executive dysfunction associated with attention disorders in patients FSHD2. Moreover, their performance in IQ tests would be low in relation to their socio-educational and compared with patients FSHD1 level. Locations: Hôpital Pasteur, Nice, France, 06002 Contact: Muriel LAFFON, Dr 04 92 03 82 69 ext +33 laffon.m@chu-nice.fr Principal Investigator: Muriel LAFFON, Dr Sponsors and Collaborators Centre Hospitalier Universitaire de Nice. Brief Summary: The purpose of this study is to identify genes and proteins responsible for nerve and muscle disorders by studying genetic material from individuals with neuromuscular disease, as well as their family members. We are interested in recruiting many types of neuromuscular disease including; Duchenne muscular dystrophy (DMD), Becker muscular dystrophy (BMD), and limb-girdle muscle dystrophy (LGMD). There are still many patients diagnosed with muscular dystrophy but have no causative gene implicated in their disease. We feel that these patients may have new genetic changes in genes coding for important muscle proteins that we have yet to identify. Using molecular genetics to unravel the biochemical basis of these neuromuscular disorders should lead to more accurate diagnosis of these disorders and should lead to potential therapies. Brief Summary: Facioscapulohumeral muscular dystrophy (FSHD) is an autosomal dominant disease characterized by progressive weakness and atrophy of specific skeletal muscles. One of the major problems of patients affected by FSHD is the limitation in performing daily activities induced by the progressive muscle weakness. This sedentary lifestyle can cause a “debilitative cycle,” and neuromuscular deconditioning can even aggravate the muscular deficiencies. Recent studies have indicated the safety and the effectiveness of moderate aerobic training programs in patients with FSHD. However, these training programs have limited applicability in patients with more severe muscular weakness. Artificial strength training by means of neuromuscular electrical stimulation (NMES) appears to be a promising rehabilitation strategy for FSHD patients suffering from neuromuscular disorders. Therefore we propose to investigate the feasibility, safety, and effectiveness of NMES strength training to counteract quadriceps muscle weakness in patients affected by FSHD. Brief Summary: On the basis of published data and our results indicating that oxidative stress may contribute to the peripheral skeletal muscle dysfunction in patients with FSHD, investigators conducted a pilot randomized double-blind placebo controlled trial to test whether oral administration of vitamins and mineral could improve the physical performance of patients with FSHD.The result of this clinical trial showed that antioxidants supplementation may improve skeletal muscle function of patients with FSHD and suggest that an antioxidant strategy adapted may be a relevant therapeutic approach for these patients. Since then, patients with FSHD who attend consultation at Montpellier hospital are systematically supplemented with antioxidants according their own blood tests. Brief Summary: In adults, muscle diseases are usually chronic long-term conditions that do not have a definitive cure. Supportive care has been shown to reduce complications from muscle disease and improved survival in some cases. However, there has been limited research to evaluate interventions that may improve quality of life (QoL) with this patient group. The QoL of those with MD is not just affected by the severity of their MD but also a variety of psychological variables. Based upon the knowledge of these psychological variables the investigators feel that a particular type of psychological intervention known as “acceptance and commitment therapy” (ACT) could potentially improve QoL in those with MD. The investigators therefore propose to test whether ACT does in fact improve QoL in those with MD by randomising 154 patients to receive either standard medical care plus a guided self-help ACT programme, or standard medical care only. Purpose Researchers at the University of Rochester in Rochester, NY, are looking for individuals with FSHD who are interested in participating in a research study to learn more about a potential symptomatic therapy for FSHD. This study may help determine if a combination of drugs (recombinant human growth hormone [rHGH] and testosterone) can be safely given to patients with FSHD and possibly improve walking, strength, muscle mass, quality of life, and functional ability. What’s involved? The study involves five visits (one with an overnight stay) at the University of Rochester. Travel costs may be reimbursed up to $500 per visit. Study procedures include taking the study drugs (testosterone and rHGH), a physical exam, collection of blood samples, muscle strength and function testing, questionnaires, EKGs, DEXA scans. There is no cost to you to participate, and you will be provided an honorarium after completing four of the visits. You are able to walk. Download the Rochester Study Recruitment Flyer. Also see the study listing on ClinicalTrials.gov. Rasch-analysis of Clinical Severity in FSHD (ROC-FSHD). Principal Investigator: Jeffrey Statland, MD, University of Kansas Medical Center. Recent advances in our understanding of FSHD have identified for the first time, since discovering the mutation behind FSHD 20 years ago, a potential target for therapy, and the research community has shifted towards clinical trial planning. However, hampering these efforts are the wide variability in disease expression, which at its heart, may be due to the epigenetic nature of the disease. A barrier to identifying genetic or environmental modifiers of disease has been the lack of a clinically meaningful tool for documenting progression of disease. Such a rationally built scale would be calibrated so each increment in the scale would reflect a progression in the clinical disability of the disease. Such a scale would enable the identification of genetic and environmental modifiers of disease expression, while at the same time providing a powerful tool to stratify patients for future clinical trials, potentially reducing the variability and increasing the likelihood of identifying potentially effective therapeutics. In addition such a tool would be invaluable for prognosis and surveillance in the clinic. Here we propose to develop a scaled and calibrated Rasch-built clinical severity scale for FSHD (the FCSS). We are seeking fifty (50) volunteers, twenty-five (25) from the University of Kansas Medical Center, to participate in this study. Volunteers will be required to make a single visit lasting approximately 6 hours. Anyone with a diagnosis of FSHD who can travel to and from the University of Kansas Medical Center is eligible for this study. Download for further details: Rasch-Analysis Study Fact Sheet. aTyr Pharma ongoing Phase 1b/2 Clinical Trials. Active but no longer recruiting, or enrolling by invitation. The trials are designed to assess the safety, tolerability, immunogenicity and activity of Resolaris in patients with the muscular dystrophies of FSHD or limb-girdle muscular dystrophy 2B (LGMD2B or dysferlinopathies). ATYR1940-C-003 is open for enrollment. ATYR1940-C-004 has nearly completed enrollment and is currently closed to screening. aTyr Pharma recently announced results from its first Phase 1b/2 trial in adult patients with FSHD. To review the press release, please visit the Press section at www.atyrpharma.com. What is Resolaris (ATYR1940)? aTyr Pharma is developing Resolaris as a potential protein therapeutic for patients with severe, rare mypotathies with an immune component, for which there are limited or no approved treatments. Resolaris is derived from a naturally occurring protein released in vitro by human skeletal muscle cells The Company believes Resolaris could potentially play a role in promoting skeletal muscle health by acting as an immunomodulator in skeletal muscle. Inflammation is believed to play a role in the disease process in FSHD and LGMD2B. For additional information, please visit www.atyrpharma.com. Where are the trials conducted? Clinical sites for both studies are located in the United States and Europe as set forth below. Where can I find more information on these trials? Please visit the following websites to get more detailed information: www.clinicaltrials.gov (type ATYR1940 in “Search studies”) and www.atyrpharma.com. You can also contact aTyr Pharma by email at clinicaltrials@atyrpharma.com or phone at 1-877-215-5731. Can I participate in one of these trials? To be enrolled in the ATYR1940-C-003 study, you should be between 16 and 25 years old, have a genetic confirmation of FSHD and have had onset of FSHD symptoms prior to 10 years of age. You will need to be seen at a participating center. Some history of other diseases or some medication taken can prevent you from participating in the studies. Please talk to your doctor about your individual disease status and whether you might be suitable for one of the studies. Download the aTyr trial information. Safety, Tolerability, Pharmacokinetics, and Biological Activity of ATYR1940 in Adult Patients With Muscular Dystrophy. Enrolling by invitation. A Placebo-Controlled, Randomized, Multiple Ascending Dose Study to Evaluate the Safety, Tolerability, Pharmacokinetics, and Biological Activity of ATYR1940 in Adult Patients With Molecularly Defined Genetic Muscular Dystrophies. For clinical trial eligibility criteria and locations, visit clinicaltrials.gov. May 2015 presentation on Resolaris here. Patients in the Southern California region have an opportunity to participate in a clinical study of FSHD. The study is sponsored by aTyr, a biotechnology company in San Diego, in collaboration with Sanguine, a company in Sherman Oaks, California, that collects biospecimens directly from patients in their homes on behalf of clients that include companies, research institutes and patient advocacy organizations. Sanguine will be compensating donors for the sample collections ($50 each). Dr. Melissa Ashlock, Vice President, External Scientific Alliances & Human Genetics at aTyr Pharma, explains the purpose of the aTyr study. If you have any questions, please contact June Kinoshita at june.kinoshita@fshsociety.org or 781-301-6649. Cooperative International Neuromuscular Research Group recruiting patients with Infantile-Onset FSHD. Recruitment completed; now closed. Lauren Hache, Clinical Research Manager, Cooperative International Neuromuscular Research Group (CINRG) Children’s National Medical Center, Washington DC The Cooperative International Neuromuscular Research Group (CINRG) site at the Children’s National Medical Center in Washington DC is recruiting patients with infantile-onset FSHD. To date, we have identified 30 eligible participants from participating CINRG sites globally; we look forward to further enrollment and data collection over the coming months. During a third year no-cost extension Drs. Mah and Yi-Wen Chen are designing new research projects based on this growing cohort of individuals with a relatively rare but more severe form of FSHD and are moving forward with data analysis as well as collecting further samples for expression-profiling studies to be done at Dr. Chen’s lab. Study Name: A multicenter collaborative study of the clinical features, expression profiling, and quality of life of infantile onset FSHD. Study Overview: This study is being run by the Cooperative International Neuromuscular Research Group (CINRG). More information about CINRG and its research studies can be found at the CINRG website. This study is an observational study that aims to advance our knowledge of infantile-onset FSHD. The study will include 50 participants of all ages who have presented with symptoms of FSHD between birth and 10 years of age. Study participation will involve a single day of assessments at one of the participating CINRG centers (to include physical exam, cognitive testing, eye exam, hearing test, strength testing and speech evaluation). The procedures may be split over additional days for scheduling purposes. Inclusion Criteria: Clinical diagnosis of FSHD including the presence of all of the following features based on review of medical records and/or direct examination: 1) onset of symptoms involving the facial or shoulder girdle muscles; and 2) genetic confirmation (according to the study defined criteria for FSHD). How to Become Involved: For more information about the study and a list of participating CINRG sites please view ClinicalTrials.gov or the CINRG website. The FSH Society is providing stipends for patients who cannot afford the expense of traveling to one of the study sites. Travel costs will be reimbursed after you have completed participation in the study and submitted travel receipts. For more information about enrollling in the study please contact the Lauren Hache, MS, CGC, Operations Manager, at (412) 224-2030 or LHache@childrensnational.org to determine if you are eligible and to be referred to a participating CINRG site. There are already clinical trials underway and many more are coming in the near future. The Clinical Trial Research Network funded by the FSH Society is critical for ensuring the success of these trials.